Erases unflattering reminders of age around the eyes, with fewer crow's feet & laugh lines, reduced dark circles and less under-eye puffiness. Visible results in just 4 weeks! But you don't need crows feet, dark under-eye circles, and puffiness telling the world that you're an old soul. 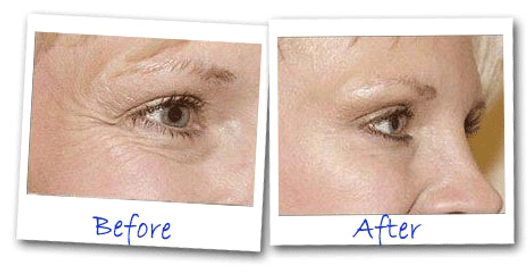 So delicate skin around the eyes looks thicker, firmer and more youthful... With less sagging, bagging, and dark circles that add years to your real age! Non-greasy formulation. Absorbs quickly. Results in as little as 4 weeks!